Week 15 had a lot of options. The last two years, it was a trip to Wheeling for the WVSSAC Super Six. Or, before that, a trip to New Jersey. With or without a stop at either Maryland or Delaware. 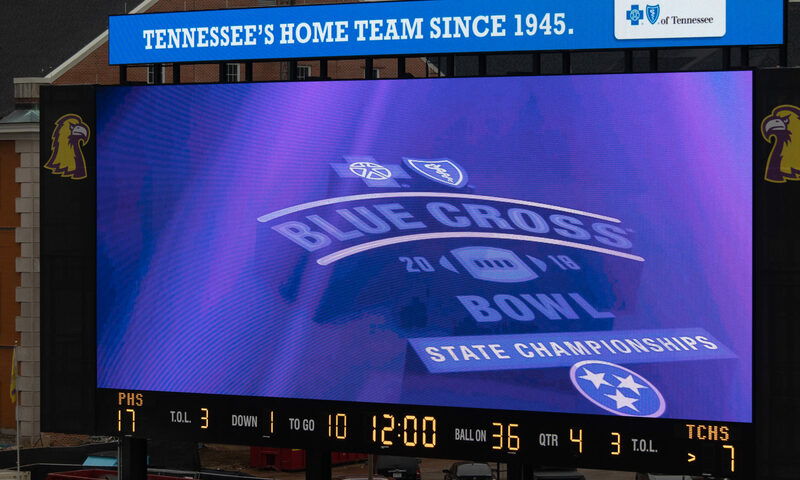 However, this year, was a trip to Tennessee and the TSSAA’s Blue Cross Bowl, the name of their championships. The games are played at Tennessee Tech’s Tucker Stadium in Cookeville. A small city just east of the Nashville metro area just off I-40. The town seems to rally around the games, and treats them as a big event. It’s just a shame the stadium is in such poor condition. Size-wise and field, it’s decent. But the stands are concrete and crumbling beneath you. The upper concourse was inundated with water during the continuous bouts of rain. Leaking right through the concrete risers overhead that make up the top half of the stadium. But, crowds were decent for the smaller public school classes. The private schools, not nearly what I expected as their crowds were lacking for anything other than the fact their student sections were well stocked. In Tennessee, after the recent increase from 2 to 3 Division II classifications, included a provision to start rotating the three days around. Previously, Division II, which was private schools with financial aid, had two classes and played exclusively on Thursday. While the six-class Division I played on Friday and Saturday with three games on each day. For 2018, for the first time, 2A/4A/6A was moved to Thursday while the three Division II classes were on Friday. And 1A/3A/5A were on Saturday. Tickets were $12 per day. With no presale discount. Tickets were good for all day and included the ability to leave and reenter the stadium. A large Fan Zone area was setup in the south endzone accessible from either side of the stadium. Parking was $10 for lots right on campus at the stadium, while several small private lots just north of the stadium were available for $5. Parking was adequate, as it handled the arena and surrounding areas for students going to classes. For being a college venue, food was cheaper than most college venues. And included Dominos Pizza. Drinks were $3, including hot chocolate. A small hot chocolate was only $2. Umbrellas were allowed. And unlike other college venues, didn’t have a clear bag rule. Interestingly, the tickets were ‘good for any day’ and exactly identical. Just only can be scanned once. As for the games themselves, most were competitive and exciting. Trousdale County scored first, but Peabody came back with 17 straight points to take a definitive lead late into the game. A safety made things a one-score game, but Trousdale County couldn’t capitalize on it. Losing, 17-9. Greenville cam in as the defending champs and put a hurting on the Haywood Tomcats. After a closely contested first quarter, the Green Devils began distancing themselves the rest of the way. A 35-21 halftime lead led to a 49-21 lead after 3, and a 56-21 trouncing of the Tomcats. The nightcap was for the largest schools. A rematch between Whitehaven and Oakland from recent championships. Whitehaven, though, made crucial mistakes and Oakland, from Murfreesboro, ran away with it on 4 touchdowns and 3 field goals, to win, 37-0. The game started excruciatingly close. A scoreless first with the great interception by Friendship Christian. A 14-13 halftime lead. But, Davidson slowly pulled away and held on as Friendship Christian ran out of time trying to keep pace. This game was a mismatch. CPA jumped out to a quick lead and piled on in the second quarter. A 28-0 lead at the half. The pair traded TDs in the third, and Battle Ground made it interesting in the final frame, but Christ Presbyterian won easily, 41-21. This was a big matchup of the two large private schools. And another recent rematch. BA jumped out to a 28-6 halftime lead, and held on through a scoreless second half for the win. The game started with some rain and a tremendous amount of wind. Passing was not really an option most of the day. 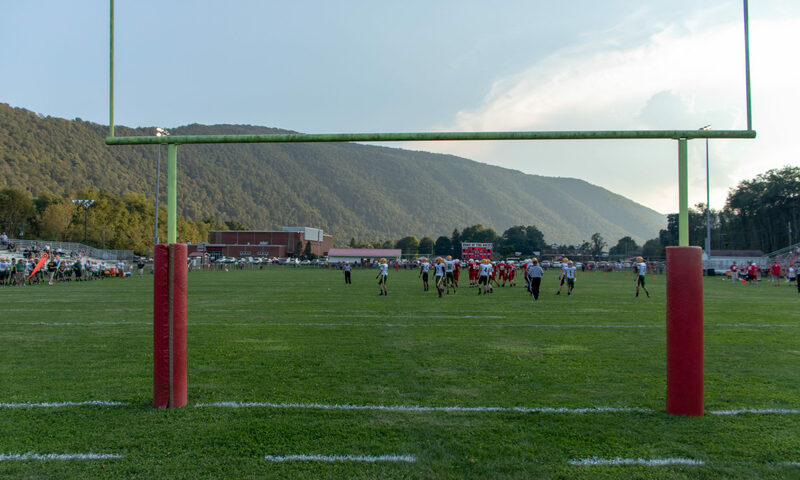 Cornersville scored a touchdown early in the game, but held their slim, 6-0 lead almost all game. After a forced punt from deep in their endzone, Cornersville’s kick into the wind landed at the 21. Giving Whitwell a short field. A touchdown and a PAT left them hanging onto a 1-point lead. With the inability to pass into the wind, Cornersville comeback attempt stalled out in Whitwell territory. The Alcoa Tornadoes were looking for their state-record 17th championship. To break a tie they held with cross-county rival, Maryville. This game was dead-even. A 7-7 halftime score and Alcoa scored to make it 14-7 in the third. Fourth Quarter was Covington driving down for a tying score late in the game. But, with no timeouts to regroup, Alcoa ran three straight quarterback draws that scored with 16 seconds left. After no rain for the second game, and the end of the first game, the weather hit. And hit hard. First with lightning reported. And then after sheltering under the cover of the upper concourse, the floodgates opened. With the delay starting around 6pm local time, and a 7pm kickoff, it was just a matter of waiting it out. And waiting. and waiting. As the front moved through and the rain ended, the lightning just would not stop. So, we left early for dinner and word on if or when the game would restart. It was during dinner it was reported the game was being delayed until 2pm on Sunday. An impossible opportunity to sit and stay for just one more game with plans to drive home Sunday morning. So, only eight games this weekend.